No Foul Play | Normative Signs: The Poetry of "Ought"
I’ve generally avoided signs that make fun of poor translation into English by people in non-English-speaking countries. But this one — posted at an apartment building in Dubai — is pretty fun. 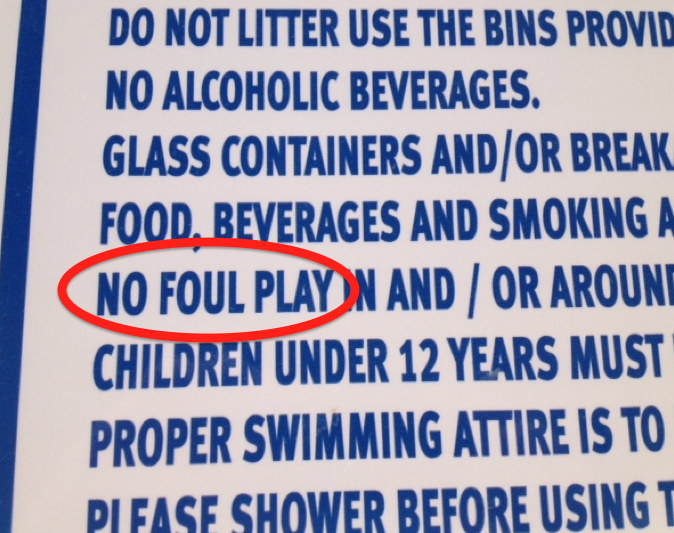 You’ve got to admit, the injunction against “foul play” is intriguing. OK, yes, it’s likely just a translation error. They’re thinking of “rough play” or roughhousing. But still. Of course, they probably DO want to forbid violent crime. 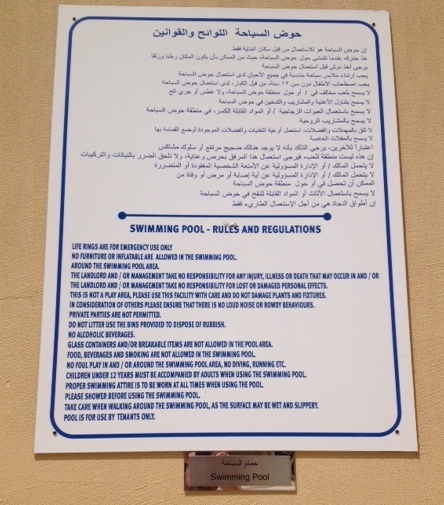 But if so then it’s odd to bury it in between a rule forbidding food and drink in the pool area and one saying that kids under 12 need to be accompanied by an adult. Someone might miss it, in the heat of the moment. Thanks to Christopher Yorke for sending me the photo.